This entry was posted in Dog Blog, Rescued Dog and tagged #blog. 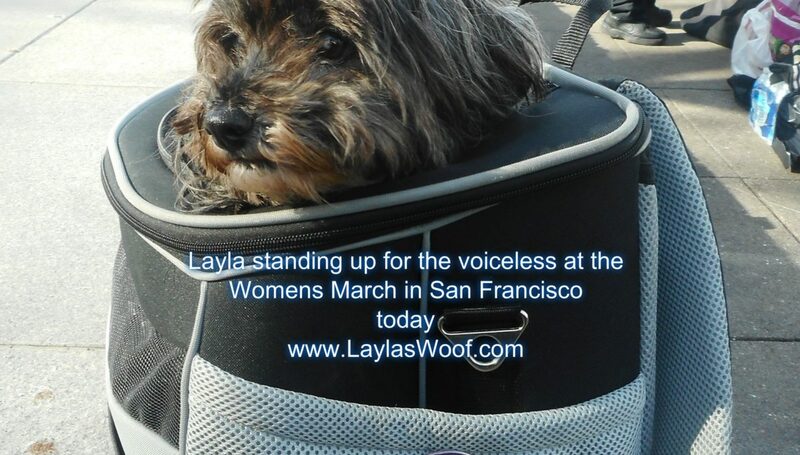 #dogblog, #sanfrancisco, #womensmarch by admin. Bookmark the permalink. It’s so good to see you and you did have the perfect pup week-end didn’t you. S.P.O.I.L.E.D. Thank you for joining the Thankful Thursday Blog Hop. Our pleasure and thanks for the blog hop. We had a great weekend and hopefully this weekend will be just as good. DUH! Did I say Thankful Thursday or the Pet Parade? It’s been a busy day…..
A loving home does wonders doesn’t it! I must admit I can’t stand the rain, wet dogs…luckily Jack isn’t a huge fan so we don’t venture too far in it. Poor Layla doesn’t like her paws getting wait – quite the little madam!! Glad she’s doing her usual socialising and livin’ the good life. Sounds like a fun weekend! My oldest boy, Kitsune, looooves the beach. It’s funny because he doesn’t really like the water, or getting wet, but playing in the sand on the beach is one of his favorite things. How cool you both got to have a fun time at that beach, it really looks super nice. Thanks for joining the Thankful Thursday Blog Hop! Do you like your backpack carrier? We are heading out to Costa Rica and are looking at one to double up as airline carrier and backpack for rainforest trips – pups are so small they are at risk in the jungle! Sounds like you had a great weekend. 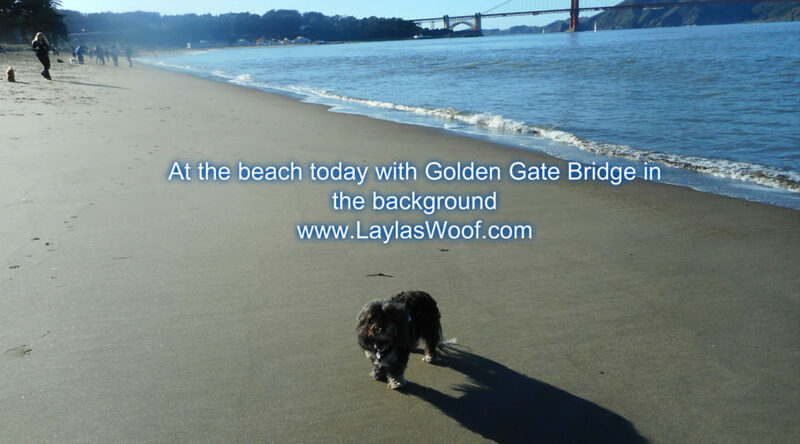 I love the picture of Layla playing with the Golden Gate in the background. It snowed, iced and rained here in the east. Do you have big plans for this weekend? Yay for sunshiney days! And a big yay for standing up for the voiceless. Sometimes, in these current times, that really takes guts. We applaud you. Such a gorgeous photo of Layla by the Golden Gate Bridge! The weather has been so glorious – and not really rainy this winter, I’m with you on the joys of that! 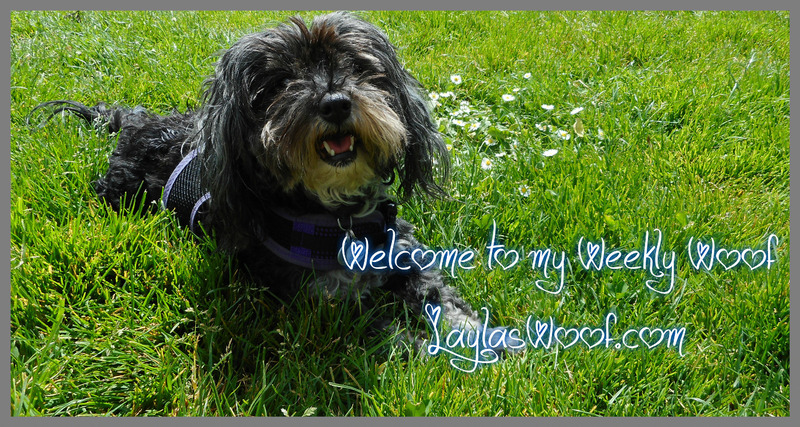 Enjoy the weekend and give Layla a smooch for me! What a productive and fun weekend y’all enjoyed. Layla looks adorable in your backpack. I’m sure she was much happier running along the beach. It sounds like you had a great weekend! Layla really has come far in the last 8 years! We had it sunny on many days too – except it comes with -20 Celsius or colder. A few years ago I went to my daughter’s wedding in San Francisco, I was hoping to make it to Chrissy Field and see the dogs, but we ran out of time. It looks like such a beautiful place, I’m glad you enjoyed yourselves. Your day at the beach sipping coffee looking at the bridge and water sounds absolutely perfect to me! My dream day! I have a fave spot here very similar, including a long awesome bridge, I love to go to to recharge, too! Even introduced my boy, Wolf, to his very first beach visit there and let him stroll in the river! So glad you had a nice day! Can never have too many of those! No we cannot and I love the sound of water, it is so so relaxing and recharging. I’m always amazed at the wonderful events the two of you attend together. I believe both Layla and you have come a long way in your lives through each other.